The Sims Mobile has released a new update for the game today. Not only does it have a selection of bug fixes but the update also features some amazing new features for the Summer season. Not only have some new quests been added to the game but there is also now the ability to switch traits with Sims, speed up events by using Cupcakes at the start of the event, a revision to the Heirloom feature but also there’s a chance to earn some valuable bonuses as well once your level ten. 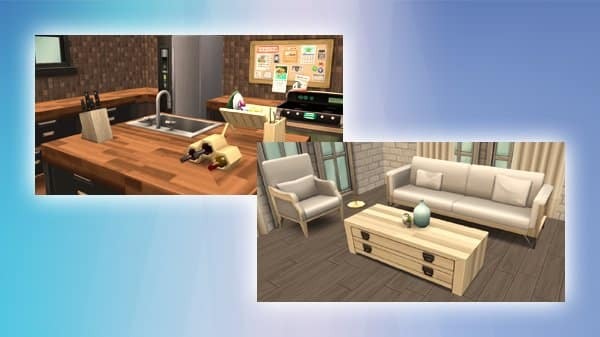 Additionally, two brand new collections have been added to the game as well these are the Farmhouse Living Collection and the Kitchen Essentials Collection. A full rundown of today’s update and bug fixes can be found below or here over on The Sims Forum! We have an exciting update with some fantastic new features to share for the Summer season. We’re continuing to listen to your comments and make improvements, so please keep the feedback coming. Below is a breakdown of the key changes in Version 11.0.0, now available for download! We’re introducing a new feature where you can make fun choices to earn valuable bonuses. Here’s how it works! We wanted to provide more fun ways for players to use Cupcakes throughout the game. Now at the start of Events, you may spend Cupcakes to speed up the Event right from the start. You will also receive a bonus reward for using Cupcakes at the start or during an event! Pro tip: Combine this with your Surprising Choice bonuses to get the most out of your timed rewards! You may also earn Heirloom Tickets and other rewards from the Free Family Chest in the new Heirloom Storefront. Be sure to check back every day to collect the Family Chest! When retiring a Sim, you will now receive an Heirloom Retirement Chest which can be opened in the Heirloom Storefront. Upon reaching Level 16, you can now interact with the new Heirloom Storefront. It will be the furthest right tab in Storefront. Sims now have the ability to swap their Traits! We’ve continued to add more goals for you to complete as you progress further in the game. Check your Quest Screen for more details once you reach Player Level 30. Enjoy two new collections which can be found in Build / Buy! I accidentally moved a room and it separated from my house- it cost me 7,300 simoleons!! Is this a new thing? Charges to move a room already created?